On January 10, Breath of Winter spreads its white blanket over Albion. Snow and frost reign over the land and will create new opportunities and challenges for adventurers. Complete Good Deeds, a unique world quest chain, only available during Breath of Winter. Conquer the Icy Battleground. 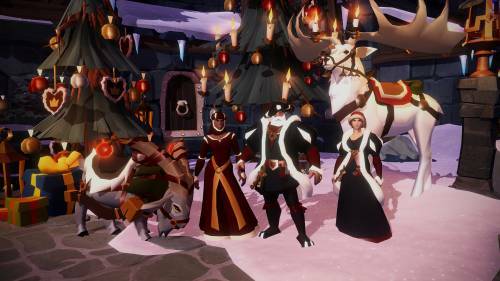 Survive Ice and Fire, a special winter-themed expedition. Earn exclusive and time-limited rewards - and throw snowballs into people’s faces. Enjoy the snow, the cold, and the tingling of icy vapor on your hands during Breath of Winter. Breath of Winter is the perfect opportunity to do something good in the world of Albion for a change. 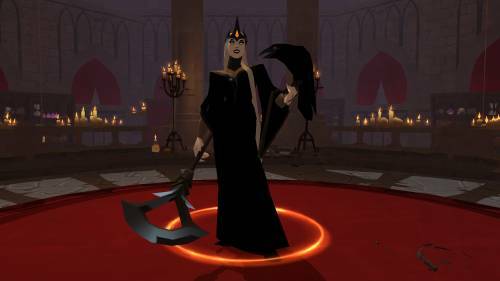 Good Deeds is a quest chain leading you all around the Royal Continent. In every royal city except Caerleon, you have a chance to do something good and complete a little task for fellow citizens of Albion. Help a delivery service in a tryout-race, or carry groceries. Play exterminator and help with a marmot plague. Catch the thief of tasty pie (there is no spoon, though) and follow the white rabbit. Once you have done all these good deeds, you can head to Caerleon to receive the exclusive item for this winter event - it allows you to craft the Yule Ram. 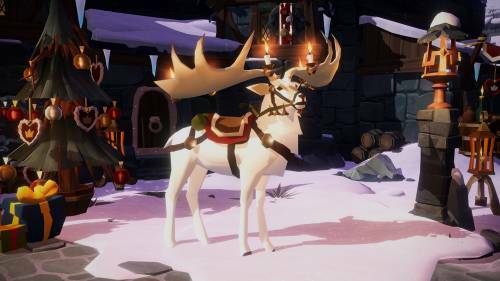 For special occasions there will also be a version of the Icy Battleground with Red Zone rules and higher quality rewards in the chests - including a higher chance for the Yule Stag! Weather the elements in an extra challenging version of the Three Sisters Expedition, as Ice and Fire will put your group’s skills to the test. 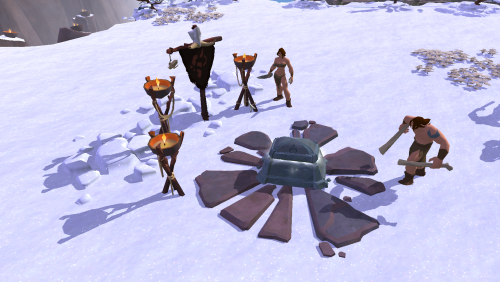 Find a map in the open world during the Breath of Winter Event, or buy it from the Vanity store for snowballs to allow a premade group entry into the expedition. Once in, you have to avoid dangerous ground that freezes your socks off - or where the floor is lava. All the while, mighty stone eagle towers spit fireballs at you and Disciples of Morgana rush at you from every direction.If you manage to best this challenge, winter-themed rewards await! The Breath of Winter comes with limited-time rewards only available during this event. Two vanity armor sets, Red Dress and Rich Noble, are waiting for you. 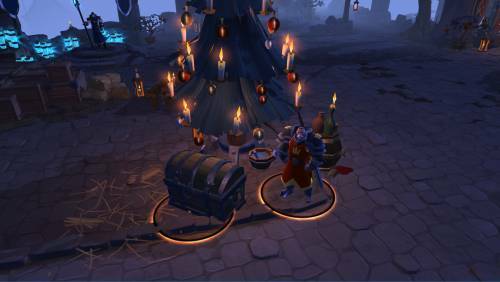 You can also get your hands on new furniture items: a placeable present chest, and conifers that look suspiciously like Christmas trees. Uncle Frost wants to prepare his departure - winter is going to be over soon, and it is Time to go Home. But his wife, the Ice Queen, wants to stay in her castle. Uncle Frost went to her castle to get her to leave with him - without success. This is why he asks you for help. Enter the icy keep, riddled with traps and Keepers now loyal to the Ice Queen, and make your way to the end. Traps are not the only thing awaiting you in the frosty castle - artillery will track your movements and rain down liquid fire whenever you stop moving. Make it all the way to the end, retrieve the Ice Queen, and Uncle Frost will reward you with wintery goodness! 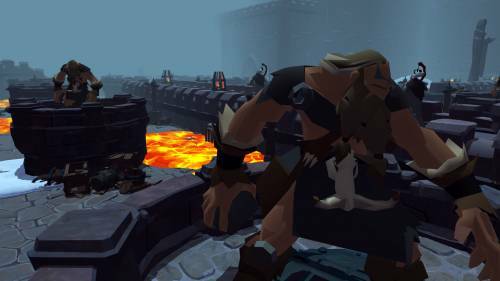 The Albion Online Community Team will prepare additional Community Events. More details on those will follow at a later time.